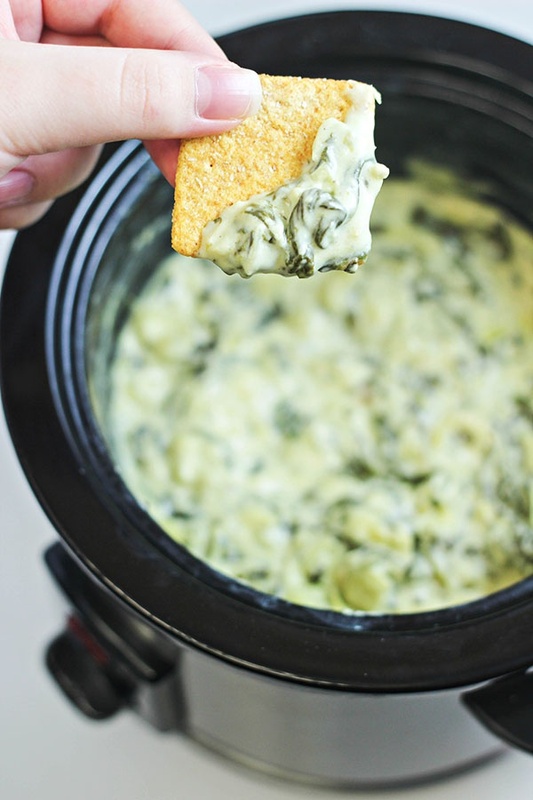 Slow Cooker Spinach and Artichoke Dip By Brandie Valenzuela | Home Cooking Memories. This delicious Slow Cooker Spinach and Artichoke Dip recipe is easy and cheesy! A hot dip, but no oven needed. Great for potlucks & parties!